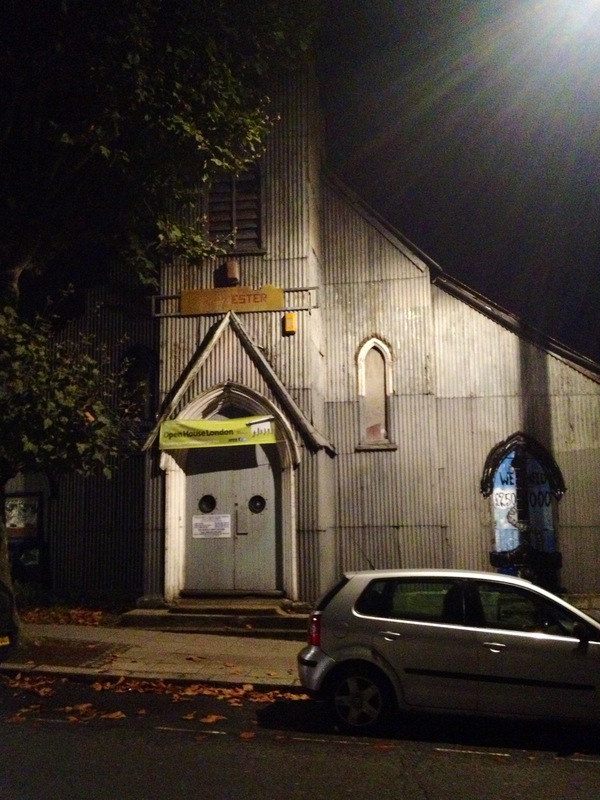 Come up the stairs and out onto the street from London’s Underground at the Kilburn Street stop, walk less than a block, and there, nestled amongst houses and businesses on an ordinary street, is a church. Actually, it’s a building where a church used to meet. Now, like so many other churches in London, it’s empty. The double doors were once portals to transcendence and the worship of God. Now, hanging above them is a banner advertising a tour group that meets here. On Thursdays, an animal rights club gathers. The windows are boarded up, a symbol of the way secularism has made so many churches across Europe obsolete. The building is for sale. Everywhere you look in London there are traces of the Church. England’s history is in large part Church history. The two are intricately entwined. But the reality is unavoidable. Christianity’s heyday seems to have passed. Cathedrals are tourist stops. Faith in Christ is relegated to the museum along with old paintings which depict him with glimmering halo. Sundays are no longer as a day of Christian worship. The stately Christian foundations upon which earlier generations built now lie as quaint ruins of mild historical interest. 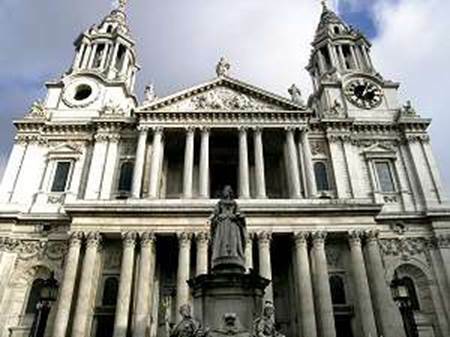 At one point in London’s history, within one square mile of the city center there were 150 churches. It was essentially the most “Christianized” place in the world. On a walking tour of London this week our guide took us to the door of a large stone church. It had been home to a strong Lutheran congregation since after the London fire in 1666. The German theologian Dietrich Bonhoeffer worshiped here. But then it declined for decades until it finally went the way of the others. Today it has been handed over to some New Age folk. We could hear them chanting through the wooden door. A rector at a large church in London announced that twenty years ago the song most commonly sung at a funeral in his parish would have been Abide with Me, a hymn of hope and joy derived from the closeness of Jesus’ presence, even in death. Today, the most commonly requested funeral song is Sinatra’s I Did it My Way. Our tour guide reported that at the last funeral he attended he heard a rousing rendition of Wish Me Good Luck as You Wave Me Goodbye. You may have heard of Aldersgate Church. That’s where a young man named John Wesley stopped in for a Bible study. The powerful Word of God was opened as Wesley contemplated Martin Luther’s commentary on the book of Romans. Wesley’s heart opened, too, and Christ gripped his life like never before. “I felt my heart strangely warmed,” he said. 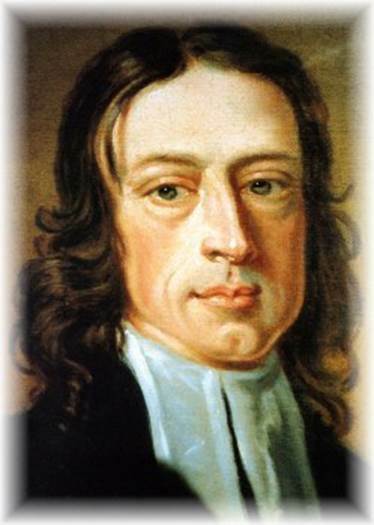 Wesley went on to become one of the most impactful preachers in history, and led a spiritual renewal movement that influence millions and birth the Methodist denomination. I visited that famous Aldersgate church this week. There is no longer a congregation that gathers there. It stands in the middle of London as yet another monument to the encroachment of a world that sees God as irrelevant and Christianity as a cultural religion fit for the scrapheap. We’ve come a long way from Wesley’s strangely warmed heart. I won’t attempt to explain how Christianity rose to prominence in Europe, nor how it came about that today churches are empty and God has slipped to the margins of importance in the public square. Except to say this: it CAN and DOES happen. Of course North Americans recognize this shift, as it is happening all around us as well. Maryland, where I live, has long been on this same path. My home is located in the most unchurched county in the state. When asked about their religious affiliation, 87% indicate “none.” We’re no strangers to the new realities of life in a secular society. And neither are you. Some of the faithful will despair about things. They will sit in nearly empty pews until they are the last to leave, and then turn out the lights. They will cling with white-knuckled fear to the traditionalism of yesterday, wistfully longing for a return to former glory days when it seemed everyone was a Believer, and one became a Christian just by drinking the water. They will lament every time it seems like Christianity is squeezed further out of the public sphere. Some will become angry or violent. But those days of cultural Christianity are over. And if it isn’t true where you live, it will be one day soon. Jesus, however, isn’t exactly dead. Which means that this window of time in which we live turns out to be a beautiful, pregnant, important moment for the Church. Some of the old church buildings may be emptying out. And the percentage of the population which formally subscribes to some form of civil Christianity is shrinking. Those who agree to go through some culturally conditioned Christian motions are indeed a dying breed. But all of this simply means following Jesus is a rare and difficult thing. Like Jesus said it would be. If it’s not trendy to be a Christian, maybe being a Christian will mean more than it used to. This is not a bad thing. Our post-modern, post-Christian world is the perfect stage for vibrant New Testament-like Christian communities to demonstrate a robust life in Christ. All over the world, God’s people are giving a fresh new witness to the life changing power of Jesus Christ – a potent re-presentation of what Christian community looks like in a post-modern, post-Christian society. I found it in the center of London at All Souls Church. Anyone who says the Church is dead in London has never been to All Souls. The architecture catches the eye from the street with its circular portico and tower with columns. It was designed by John Nash, favorite architect of King George IV, to provide an eye-catching monument in the city. From the outside, the stately old building is a link to the past. But I went there last Sunday for worship and found out that what happens inside is what will really blow you away. Over 2500 gather there each weekend. It’s a thriving international community, teeming with young people and students. The worship was heartfelt, thoughtful, and lively. Here in the center of England’s neo-pagan post-Christian city I had found a vibrant, thriving, growing Christian community. John Stott was pastor here for some time, and though I never met him, I feel as if he was a mentor to me through his many books, lectures and sermons. He is part of the reason this place was rockin’. Katie, from Korea, sat by us and introduced herself before the service. She explained that about fifty folk were being sent out by All Souls to start a new church – a campus if you will – in another part of the city. She beamed with excitement. The balcony surrounded the worship area on three sides. Looking up at it was a beautiful sight – jammed to the gills with young people, students, a hearty multi-cultural collection gathered to praise Jesus. Although it’s not a great picture, I’m going to post it anyway, so you can hopefully feel some of the energy I felt. The communion bread and wine were passed down our row in fancy silver containers. But it dawned on me that the elements inside are the same all over the world. I was sharing this meal with Believers in millions of clandestine gatherings, large and small, the world over. Here in this secular city I was with Friends – fellow Jesus followers. After the service ended, they stacked the chairs like they do at our church. Had to make room for fellowship dinner. Eventually they filtered out the door onto the busy streets of London. Back where Christ followers live their lives on mission. To the Burroughs and apartments and dorm rooms and offices where Jesus sends us. And I came home to Baltimore. If Jesus surveyed the landscape of London or your town, we know what he’d say. He’d say the fields are white and ripe. And they are closer than ever. But the harvest won’t come by picking through old, dead fields where crops once grew. The Good News needs to be replanted by faith all over the world – in concrete jungles and neighborhoods previously thought infertile. But first it needs to be replanted in you and me. And that is what happened to me in London.